Quality service at low prices. 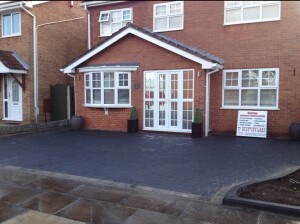 Want a skilled and professional paving service to construct your new patio or driveways in Liverpool? Trust Barlow Paving & Landscaping to get the job done to your specifications and standards. For the garden you’ve always wanted, see Barlow Paving & Landscaping. With great skills and knowledge we’re guaranteed to deliver the results you require. Whatever your needs, we’ll cater to them. Along with paving and landscaping, we also provide other superb services such as garden maintenance and decking construction. Follow the links or contact us to find out more. We’re driven to provide quality landscaping and paving services at astoundingly low prices. To find out how affordable we are, why not call us on 07729 927 233 for a free quote? Your home is a place to relax, a place to socialise and a place to have a family. Therefore, your house should be something you take pride in. Here at Barlow Paving And Landscaping, we understand this. We have dedicated ourselves to making sure your house is a beautiful, comfortable and elegant looking place that you can be proud to call home. 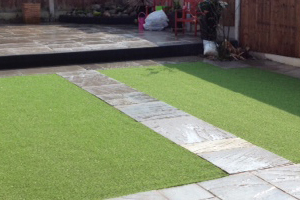 We specialise in providing the best paving, driveways, decking and landscaping in Liverpool. Located in Fazakerley, we are perfectly situated to provide our excellent and affordable services to homes across Liverpool. It is a service that comes highly recommended from our customers with whom we have developed close working relationships due to our prompt arrivals, competitive pricing and ability to deliver an outstanding results. Get in touch today to find out more about our home and gardening services in Liverpool, or to get a free quote. Making a garden look fantastic is a serious endeavour, especially with the uncooperative weather that so often plagues gardeners in Liverpool. Luckily, Barlow Landscaping are the most experienced, capable landscaping service in Liverpool, with years of work behind us and thousands of beautiful, completed gardens under our belts. The team at Barlow Landscaping can turn any yard, stretch of ground or patch of concrete into a beautiful outdoor space to relax and unwind, and will work with you every step of the way to make sure you get the garden of your dreams. No project is too big or too small for our Liverpool landscapers – we have in the past worked on massive gardens, changing the ground level, installing features, flowerbeds, water features and new fencing, but we have also worked on tiny yards, working with the owners to devise the best possible use of space to make a light, airy space full of gorgeous greenery, even though it was restricted in size. 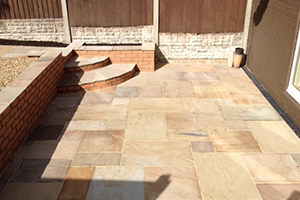 As well as landscaping, we offer paving, driveways and decking, so we’re able to offer you a complete package to totally overhaul the outside of your property if you wanted. In one project, Barlow Landscaping can work on giving you the garden of your dreams, backed with whatever style of decking you like, paved beautifully with feature stones in the pathway, and leading on to a gorgeous, one-of-a-kind driveway. Getting your garden to look dazzling is a real skill, and it’s one that we consider ourselves masters of. Barlow can provide outstanding landscaping services for Liverpool homes, and our Liverpool based landscape architects and gardeners will be able to transform your yard into a beautiful and elegant garden. It will make sitting outside on those hot summer days delightful, it could ultimately add value to your home, and your stunning garden will be the envy of your friends and guests. If that all sounds good to you, call Barlow Landscaping today to talk about a quote and arrange a viewing of your garden, and we’ll be more than happy to send one of our expert architects out to see what we can do for you! What is a great garden worth if you can’t enjoy it? It is a sad reality that the British weather doesn’t afford us a lot of garden time. For most of the year, rain will leave it soaking wet. Barlow’s patios are a perfect solution. We are able to design many types of patios in a range of styles to suit your home. Our professional service ensures that you have a durable, stylish and affordable way to enjoy your garden no matter what the weather. 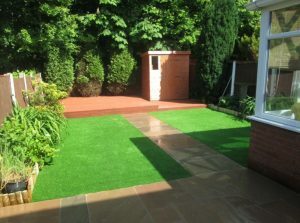 Barlow Paving And Landscaping can provide Liverpool homes with garden paving as well. Giving you with an area to sit and walk when the grass gets too wet, our specialists can transform your garden skilfully and efficiently. 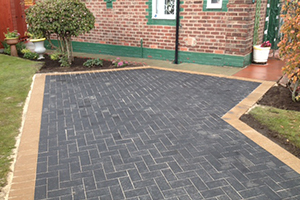 From Indian stone and block paving to traditional tarmac, Barlow is able to provide sleek and efficient driveways. They are not only able to add a bit of style to your house or help to improve the value of your property. They will also be functional and practical in all weather for storing your family vehicles. Barlow’s driveways for Liverpool can be set up by professionals with the experience and knowledge to make sure the paving is done to a high standard. There are few better ways to make your garden look more stylish than fitting high quality decking. It provides an elegant space in your garden perfect for relaxing, eating or simply enjoying the scenery. We provide top quality designs and builds for homes across Liverpool in styles unique to your own garden.